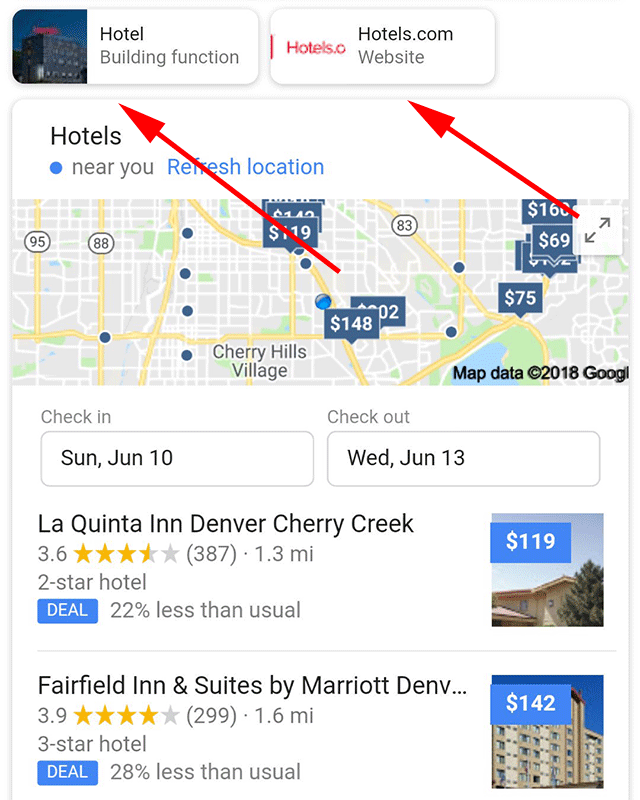 I am not 100% sure if this is new, it looks super familiar but I don't think I've covered this where Google is showing in their local pack for hotel results refinement boxes at the top. These refinements aim at letting the searcher get better information if they click it. This is Google saying, I think you are asking X but you may be asking Y. Again, I think I've seen this before, but I don't think I've covered this before. Either way, it is worth documenting here. Yea, I knew this wasn't 100% new. yeah, the desktop "see results about" feature is not new.